Dining in Thimphu is not too heavy on the pocket since establishments patronize local produce. Surprisingly, the isolated city has a lot of Asian and Western food offerings that’s quite affordable and very satisfying. Here are some restaurant recommendations from Thimphu travellers. The Bhutan Kitchen offers the most authentic local cuisine in all of Thimphu. Located near the Clock Tower, it is frequented the curious tourists and food adventurers. It is said that the Crown Prince dines in this famous restaurant, as well as local celebrities. The chillies and cheese or ema datshi menu item is one of the restaurant’s specialties. 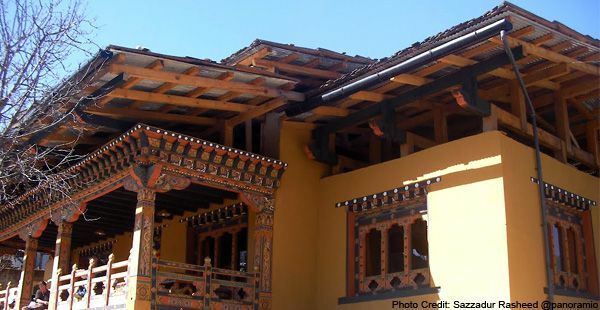 The architecture and the interior of the establishment display traditional aspects of the Bhutanese. Reviews talked about the dishes made of healthy buckwheat, the spicy food and the local beer. Thimphu has a few Thai restaurants but there are two establishments that have been given good reviews for its fresh ingredients and authentic taste. 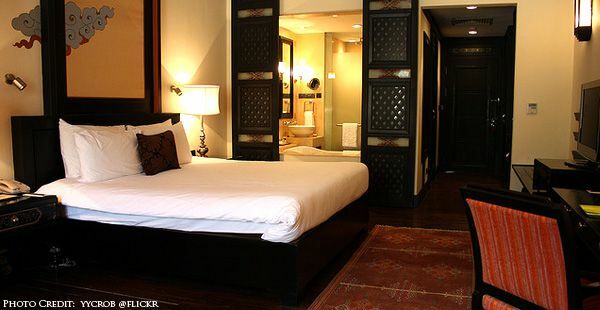 Baan Thai is located at the top floor Karma Place that’s located at the heart of Thimphu. The cook is a native of Chiang Mai, so it’s no wonder that the food is truly cooked the traditional Thai way. Reviews said that the service is quite quick and the food is very reasonably priced. Delicia, on the other hand, is a little cafe just up the hill on the outskirts of Thimphu. Diners can enjoy Thai as well as Asian fusion food in the small and private restaurant. For a night hang out, The Zone scores high in the restaurant and bar reviews mainly for its clean facilities. The smoke-free zone is proud of its family-friendly atmosphere, delicious food and walking distance accessibility to most hotels. A favorite night hub of tourists, the joint serves the best cheese burger in Thimpu, as well as pizza, the must-try yak burgers and roast beef sandwiches. It’s always a good idea to check out the shopping mall food court in every country to that you visit. In Thimphu, MK Restaurant in Center Point Mall makes it possible to fill a craving for any kind of cuisine. It’s got grilled food, Japanese, local cuisine, Indian, among many others. Another multi-cuisine eatery is the Upstairs Restaurant which is hidden in the maze-like of My Mart Grocery. Once there, one can relax in the nice terrace setting overlooking the town. Upstairs serve Thai, Bhutanese and Western food.